In most cases, back pain in the morning is caused by tense muscles. One simple way to relax your muscles is to stretch regularly every morning. But the health benefits of stretching in the morning go beyond back pain relief. There are many other health benefits of stretching you should know about. Over time, this safety mechanism becomes increasingly restrictive. Stretching briefly takes your muscles outside their normal range. This recalibrates the feedback mechanisms that determine their normal amount of motion. Encourages an optimistic outlook –A buildup of stress causes your muscles to contract, making you feel tense and uneasy. This tension can lead to having a negative impact on mind as well as your body. Stretching exercises have powerful stress-busting abilities. Stretching soon after waking up can help jump-start the mind and body. Stretching loosens tight muscles which helps your muscles both relax and increase blood flow. It also encourages the release of endorphins, providing a sense of tranquility and euphoria. Stretching directly before bed will even give you a more comfortable sleeping experience. Fortifies posture –Stretching helps ensure correct posture by lengthening tight muscles that pull areas of the body away from their intended position and keeping your muscles loose. Stretching the muscles of the lower back, chest and shoulders can help keep the spine in better alignment and improve overall posture by relieving aches and pains. With reduced pain, there is a reduced desire to hunch or slouch. Enables flexibility –The most established and obvious benefit of stretching is improving flexibility and range of motion. An effective flexibility training program can improve your physical performance and help reduce your risk of injury. By improving your range of motion, your body requires less energy to make the same movements and you also will have more flexible joints thus lessening the likelihood of injuries acquired during workouts or during daily activities. Increase stamina –Stretching loosens your muscles and tendons which relieves muscle fatigue and increases blood flow. The longer you exercise the more energy you be burn, typically causing one to grow fatigued. 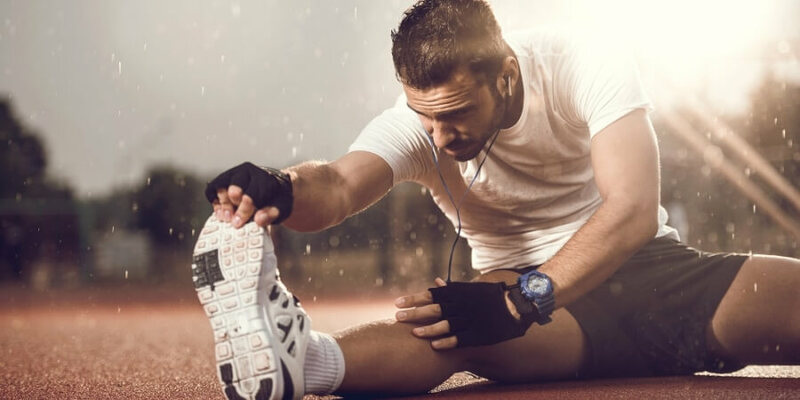 With stretching, you can delay the onset of muscle fatigue by ensuring oxygen is efficiently flowing through your blood, thereby increasing your endurance. Decreases risk of injury –it will help to supply a greater nutrient supply to muscles, thereby reducing muscle soreness and helping to speed recovery from muscle and joint injuries. Improve energy levels –Sometimes you may have trouble staying awake during your long, dragging day. If you’re feeling this way then it might help to get out of your seat and do a few good stretches for a boost of energy, helping your mind and body be more alert. Muscles tighten when we get tired and that makes us feel even more lethargic, so feel free to stand up and do some stretches. It will help you to quickly and efficiently revitalize your energy levels. Promotes blood circulation –it increases blood flow to the muscles. Not only will this help reduce post-workout soreness and shorten recovery time, but it will improve overall health. Greater blood circulation helps promote cell growth and organ function. The heart rate will also lower since it doesn’t have to work as hard and blood pressure will become more even and consistent. Improve athletic performance –If your muscles are already contracted because you haven’t stretched, then they will be less effective during exercise. Regular stretching will relax all of your muscles and therefore enable them to be more available during exercise. Reduced soreness –Stretching before and after a workout gives your muscles time to relax. Increases in blood flow increase nutrient supply to the muscles and relieve soreness in the muscles after a workout. Reduces cholesterol –Paired with a healthy diet, engaging in prolonged stretching exercises can help reduce cholesterol in the body. This could prevent and even reverse the hardening of arteries, helping one avoid heart diseases. A motto that you can apply to every area of your life. Wake up, take some time to get your body active again and then attack the day with enthusiasm!